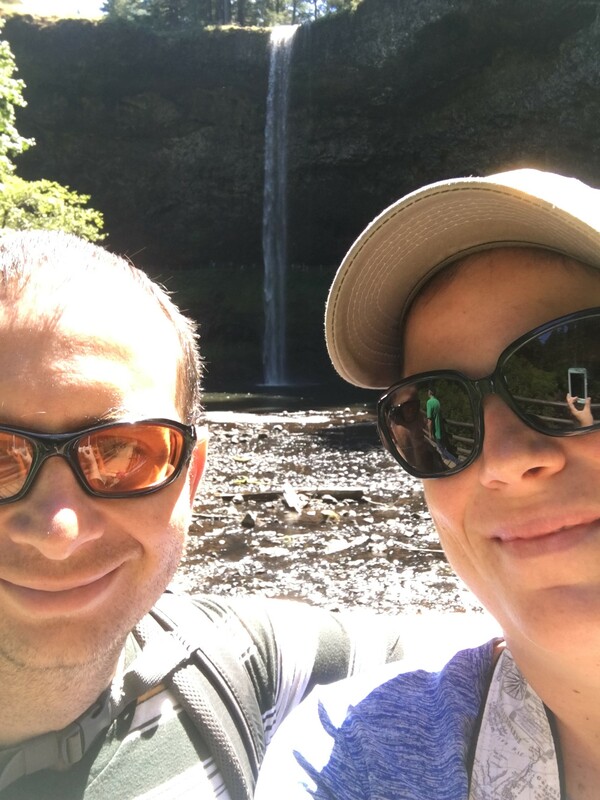 In May, my husband and I hiked behind a waterfall for the first time celebrating our 15th wedding anniversary. 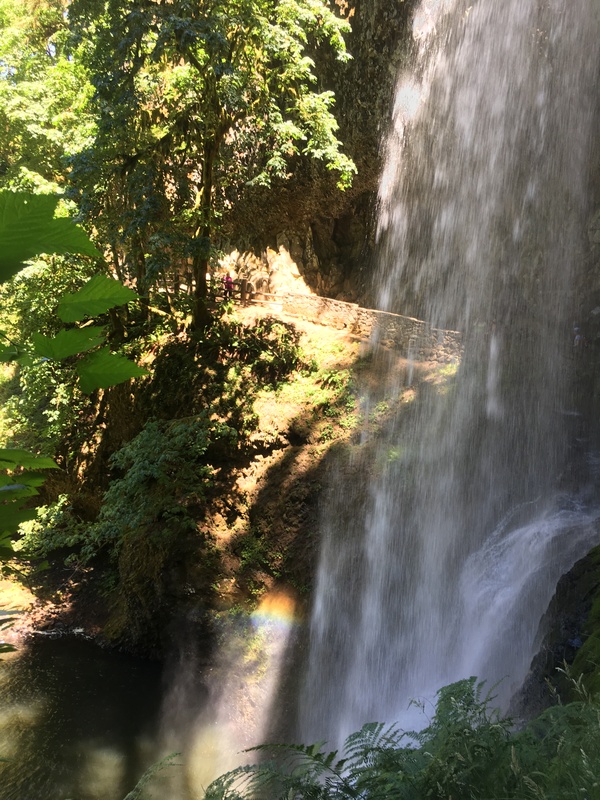 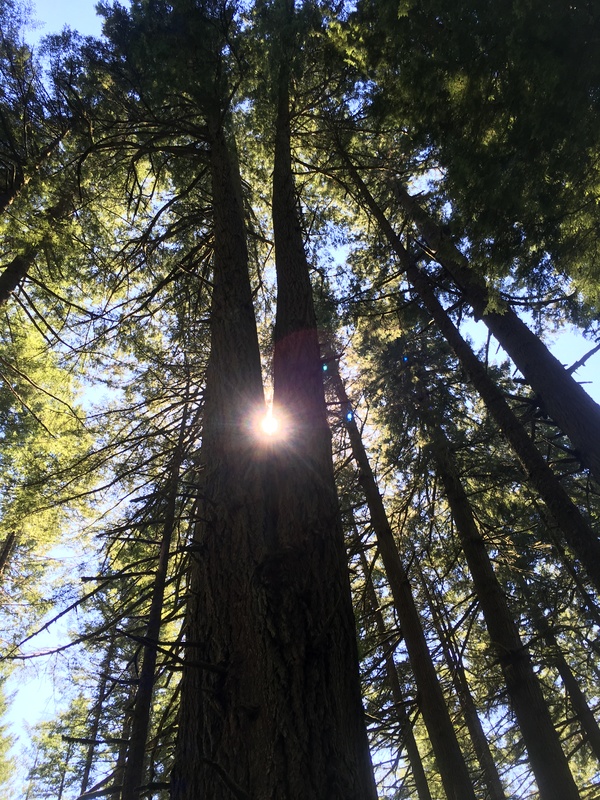 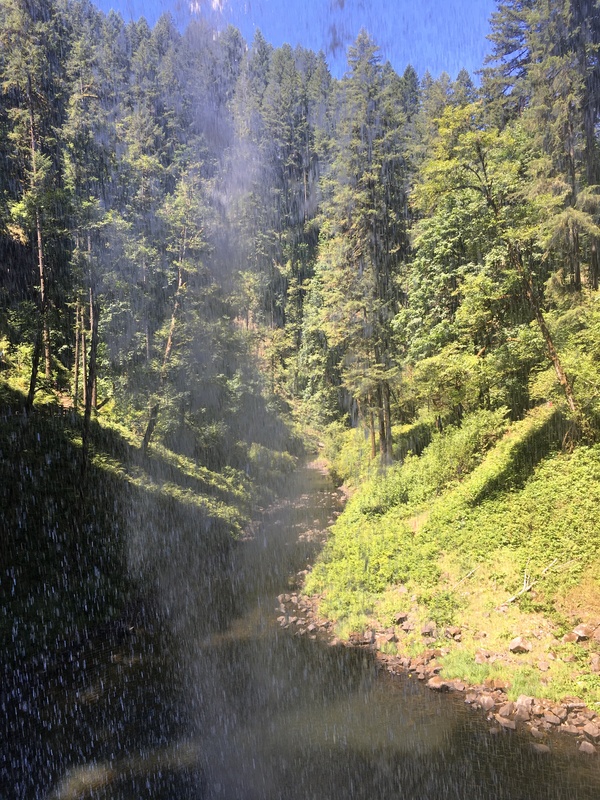 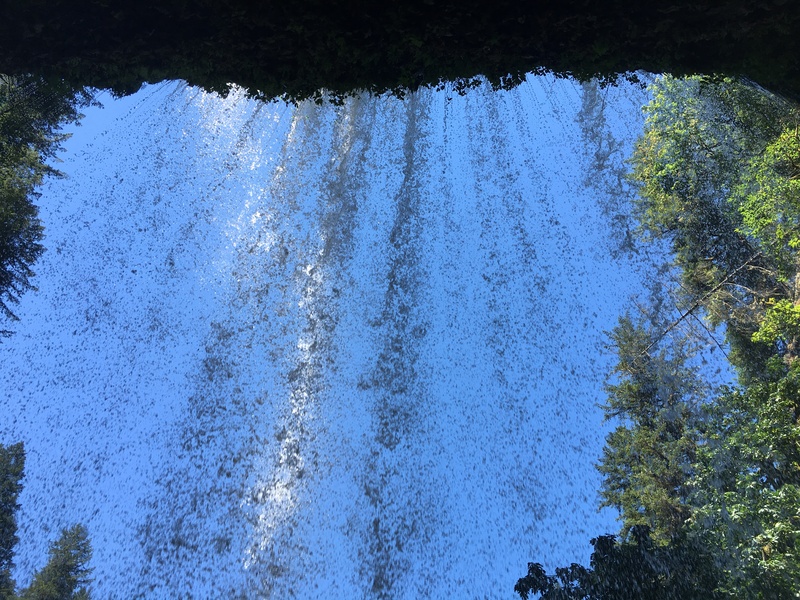 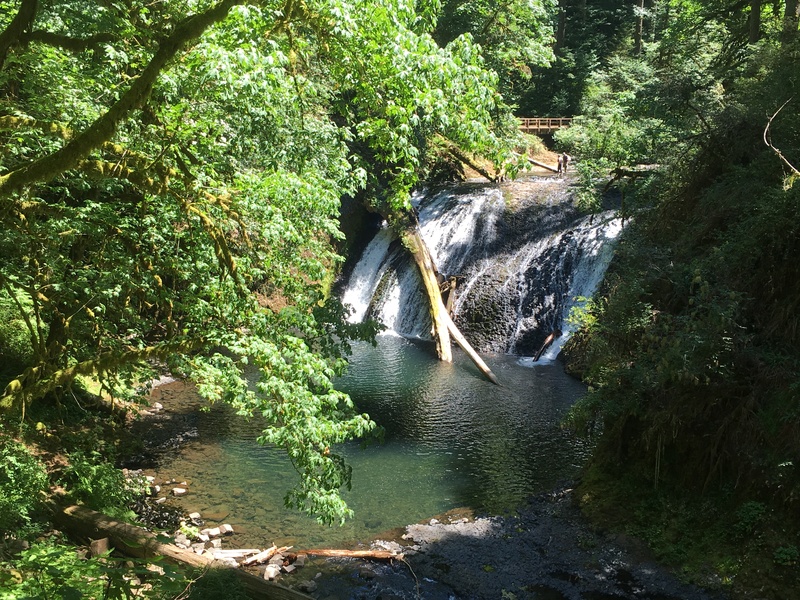 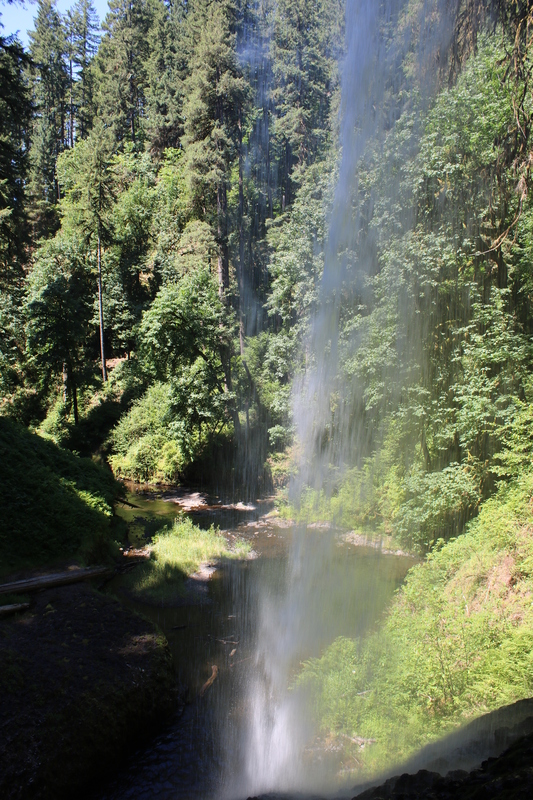 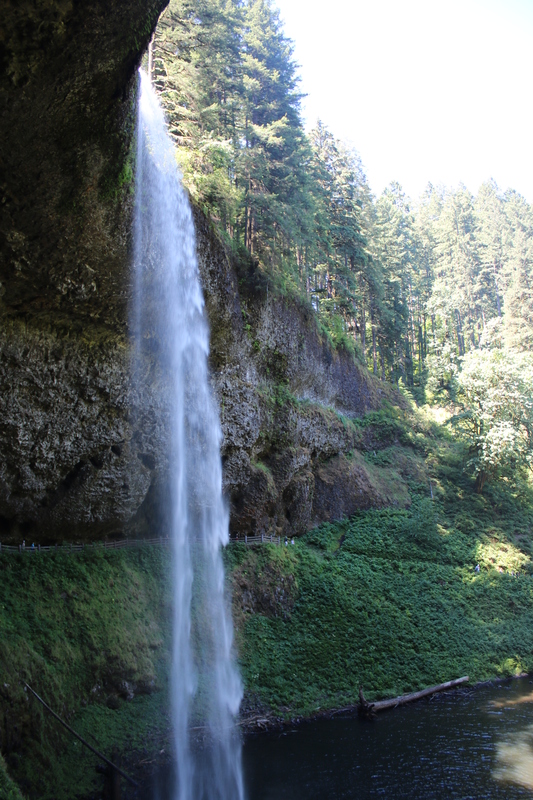 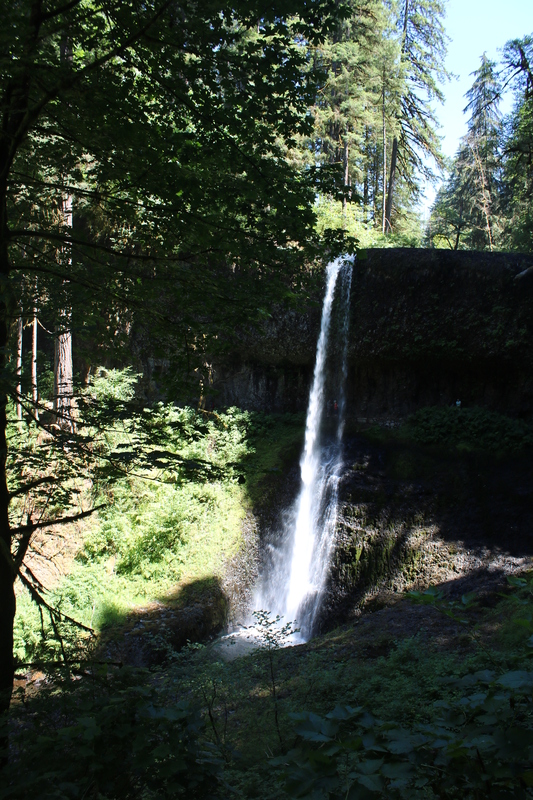 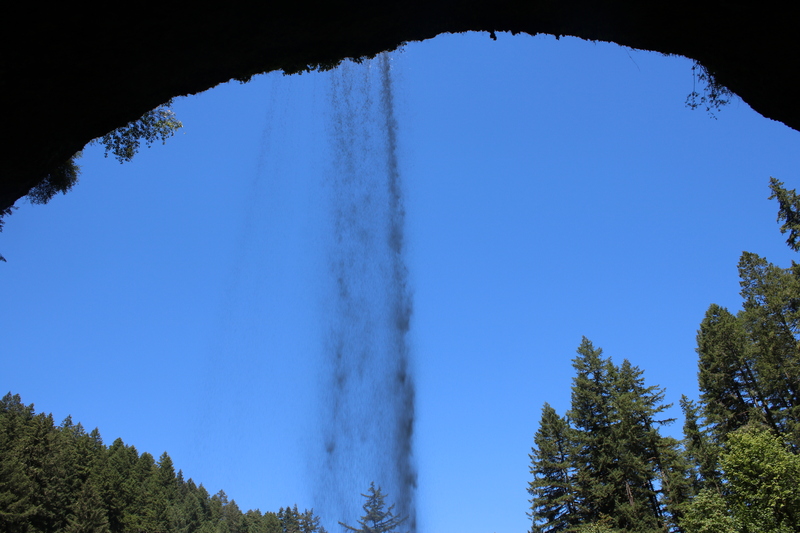 Thanks to a tip by a fellow blogger, a few weeks ago we had the opportunity to visit Silver Falls State Park down in Oregon. 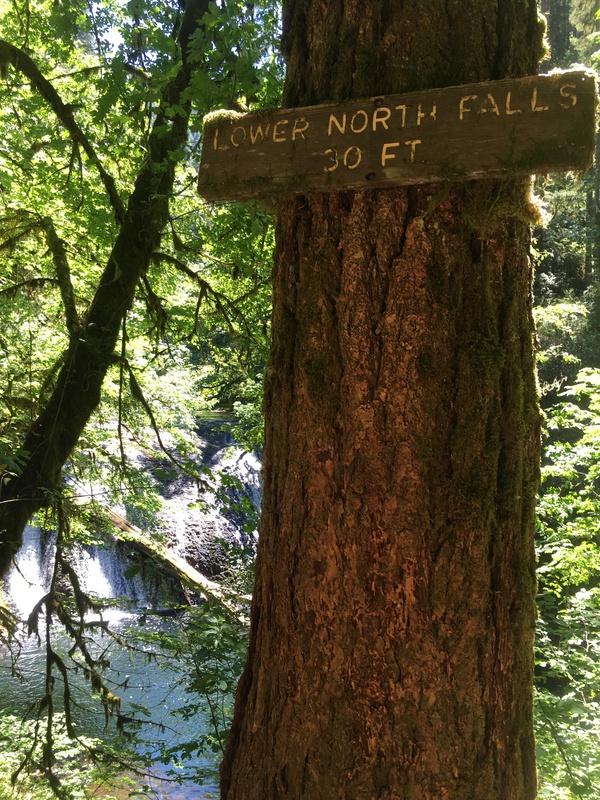 After spending a few days visiting a friend in Eugene, we were looking for a day hike as we headed north back towards Seattle. 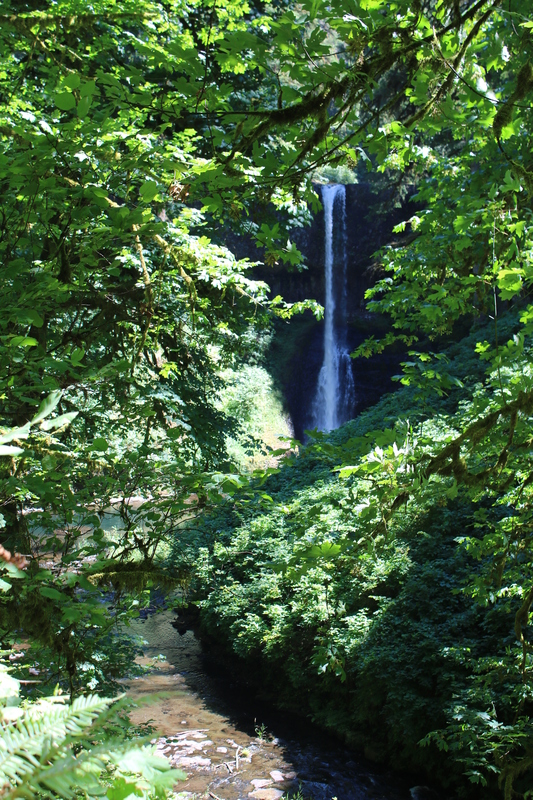 This was our chance to see several waterfalls from all different views just outside of Salem, OR. 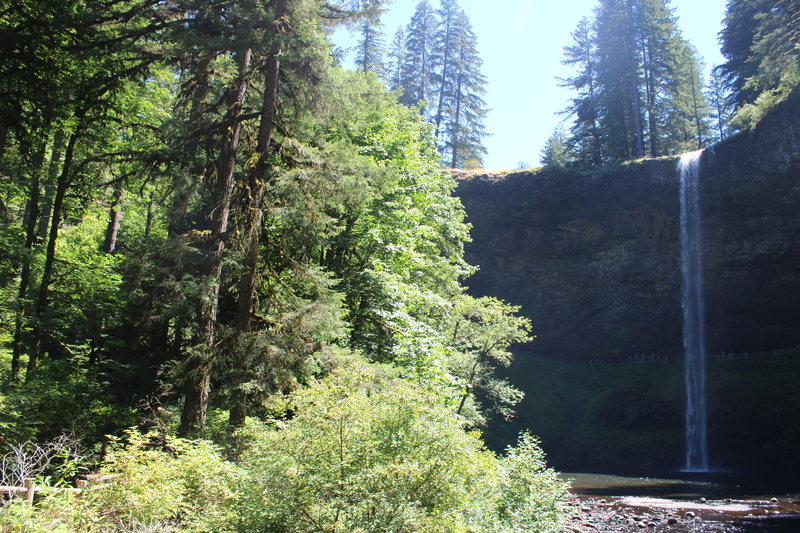 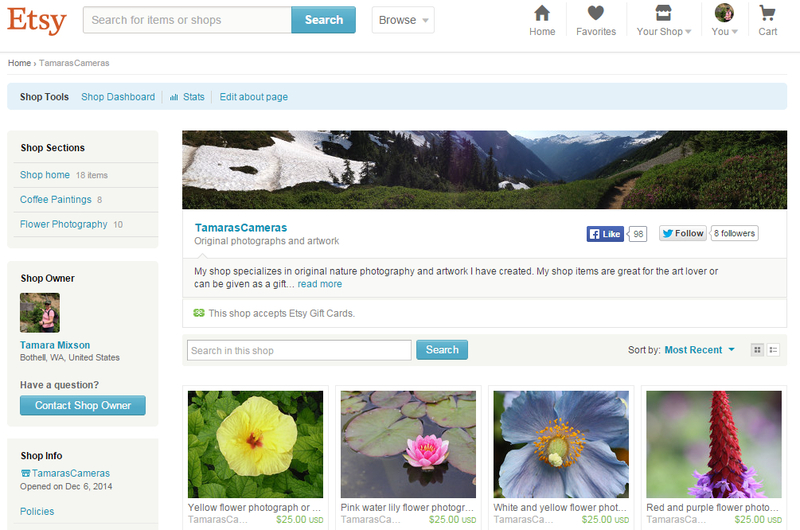 From the moment we arrived at this very popular state park I was impressed. 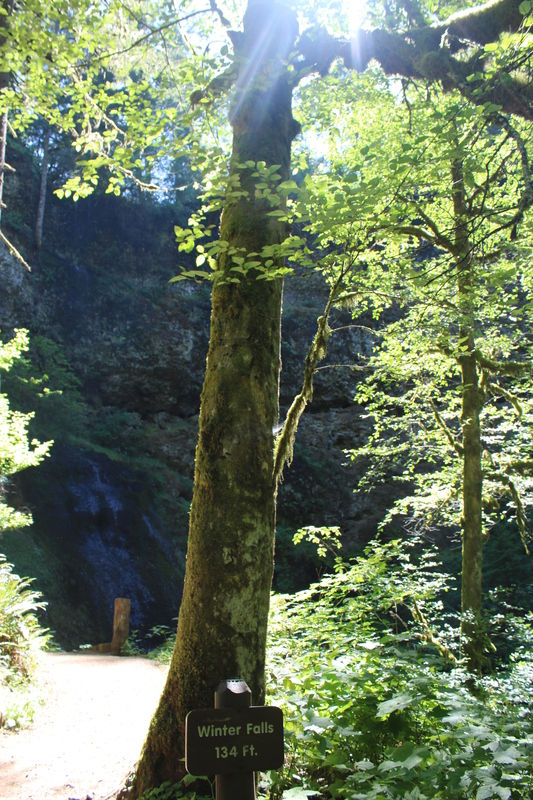 Parking was plentiful even on a beautiful, sunny Sunday. 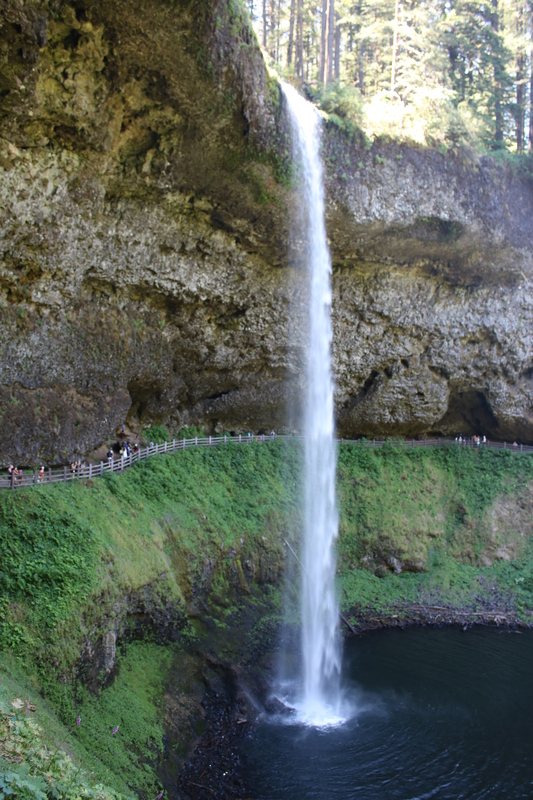 Even though large groups of people filled the park, it didn’t fill overcrowded. 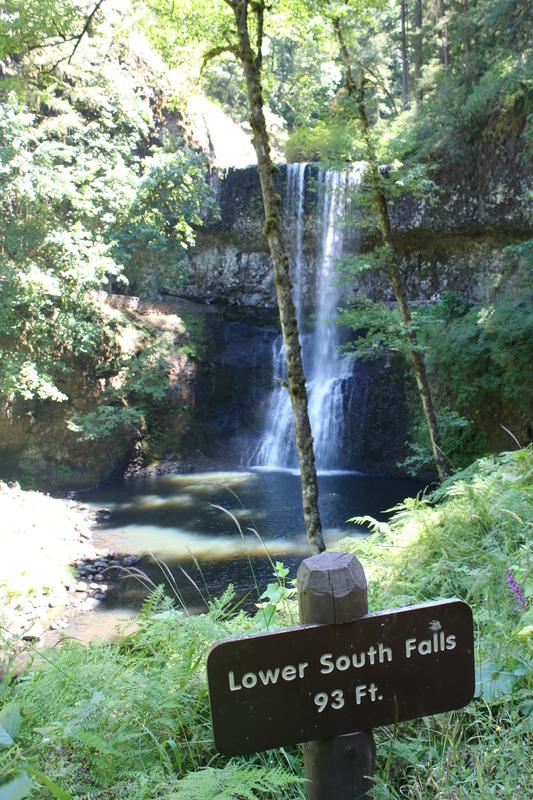 The dramatic landscapes surrounding the many waterfalls were easily accessible with well maintained trails throughout the park. 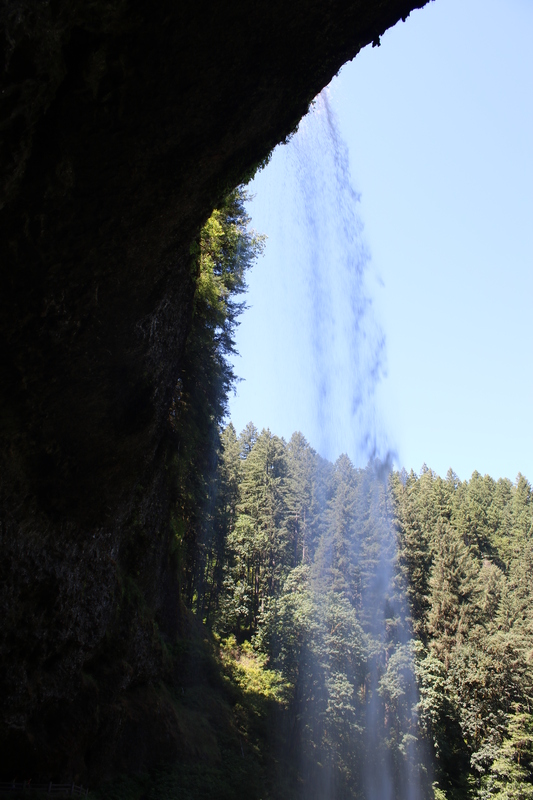 Hiking the Trail of Ten Falls was magical with each waterfall having its’ own unique qualities. 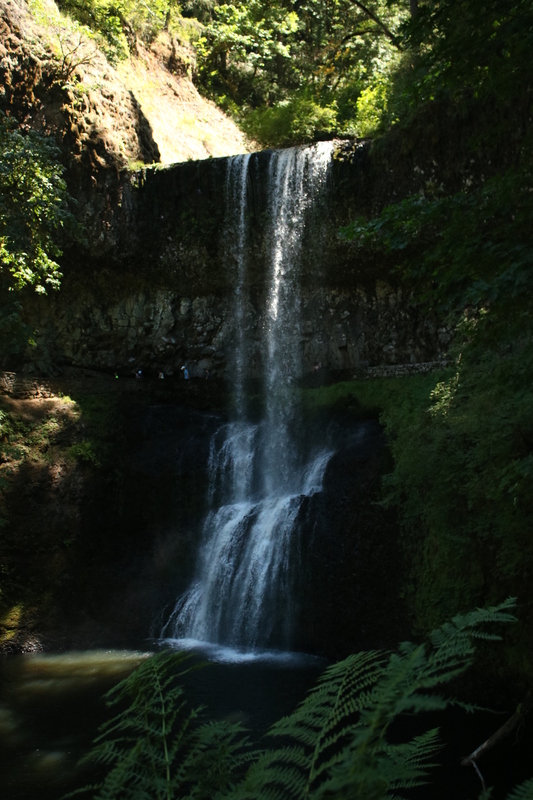 We had to cut our time short on the trails due to time constraints, only allowing us to visit seven of the ten waterfalls. 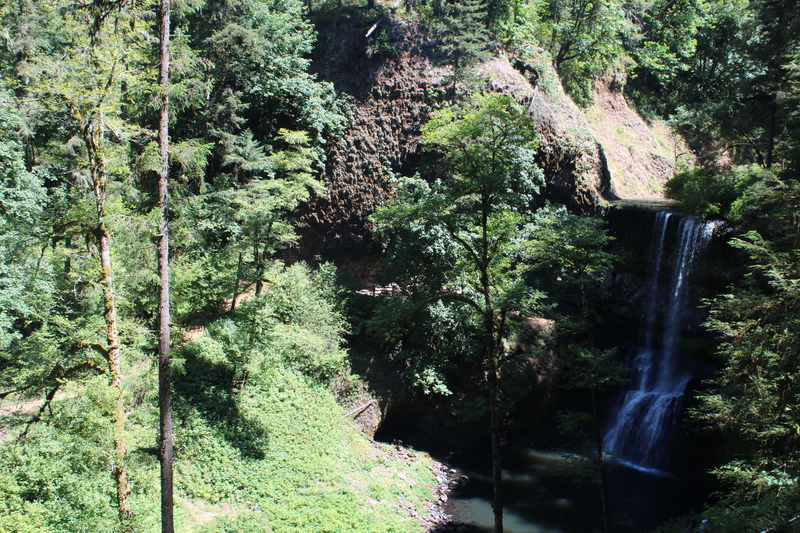 I guess we’ll have to go back one day and see the rest!